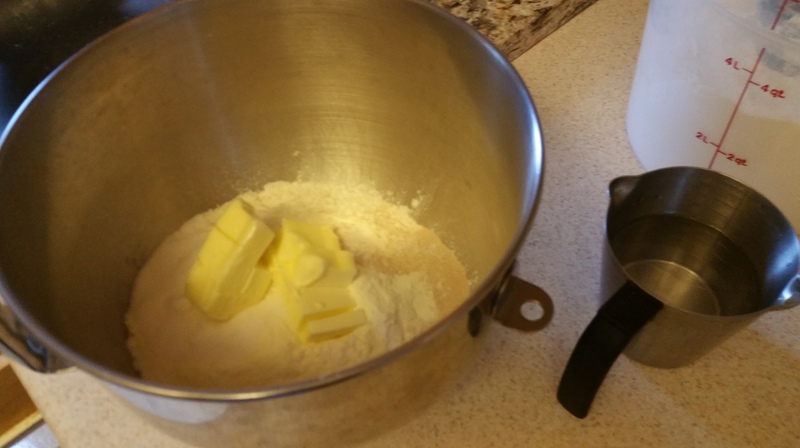 I have had the experience on a few occasions of starting a recipe assuming I had certain ingredients on hand, only to realize partway through that I was actually missing something. Yes, yes, I know this breaks the cardinal rule of “mise en place,” but we all err sometimes. There are also occasions when I know I don’t have the right things on hand and don’t care, because I’m simply going to try something and see what happens. 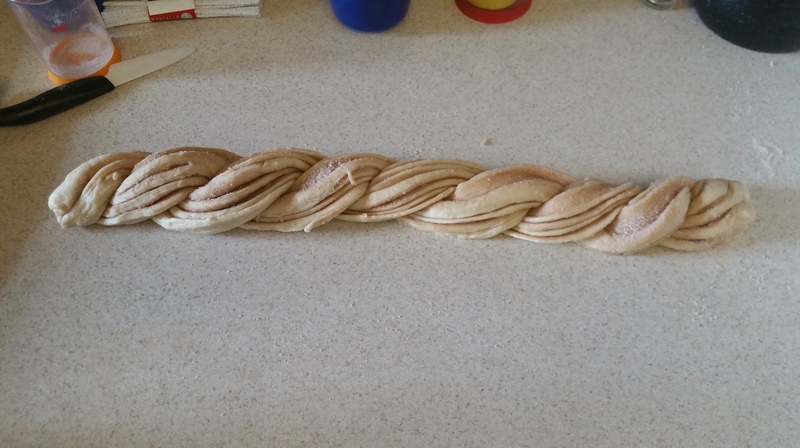 I found a recipe for a cinnamon twist bread ages ago. I remember that I loved the concept of it, but it called for several ingredients (and a cooking vessel, as I recall) that were either hard to find or that I didn’t want to buy because I couldn’t think of how else I would use them. I wrote off the recipe and moved on to something else. I never like it when things go to waste, so it’s always my preference to use ingredients that can be located in an average grocery store and have multiple uses. For whatever reason, I thought back to that pretty-looking loaf this morning. I decided to take what I know about bread and recreate the idea with ingredients and tools that an average home cook would have available. I was worried that it would turn out strange, but if you never try, you never know. And many times it’s worth trusting your instincts. 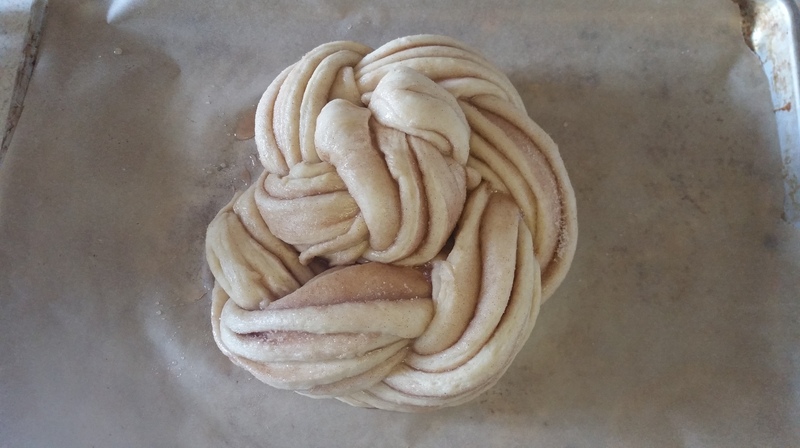 To make the bread dough, combine all of the ingredients in either a stand mixer or by hand and then knead until the dough is soft, smooth, and elastic. 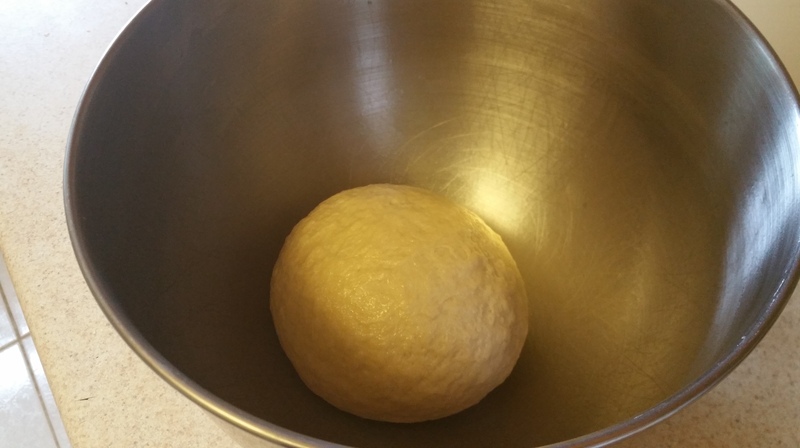 Roll the dough into a ball, placed it in an oiled bowl, and toss to coat with oil. 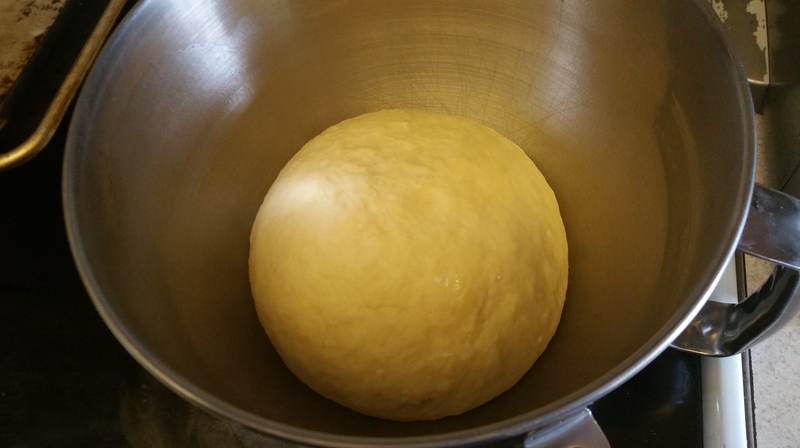 Cover the bowl and allow the dough to rise until it has doubled in size. This can take anywhere from an hour to 90 minutes, depending on the temperature and humidity of your kitchen. 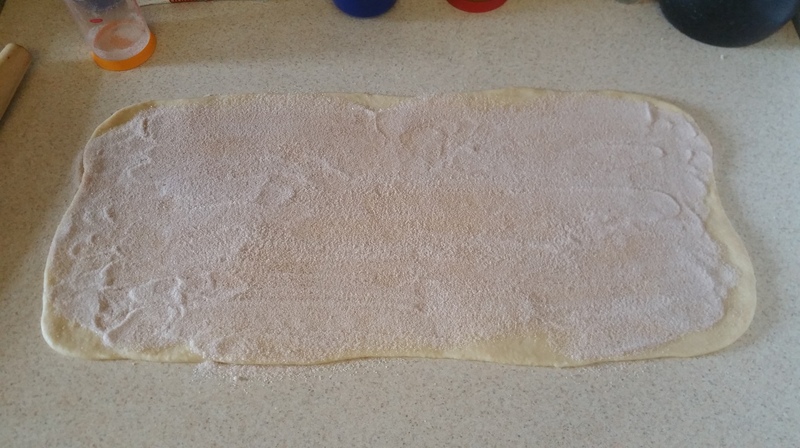 Once the dough has risen, turn it out onto a lightly greased surface and roll it into a 24 x 10 in. rectangle. 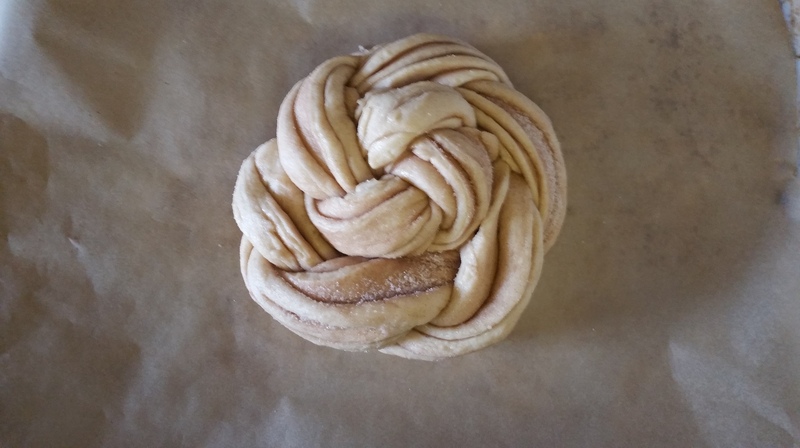 Combine the cinnamon and sugar and then sprinkle the dough with the mixture. 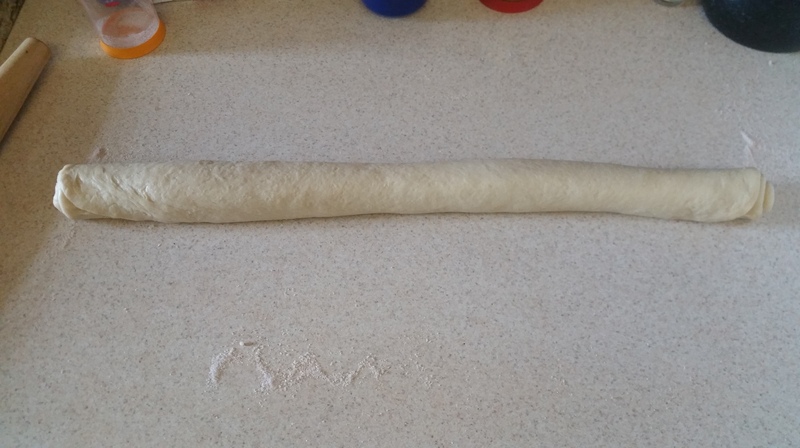 Roll the dough up lengthwise into a log and pinch the seam closed. Place the seam side facing down. 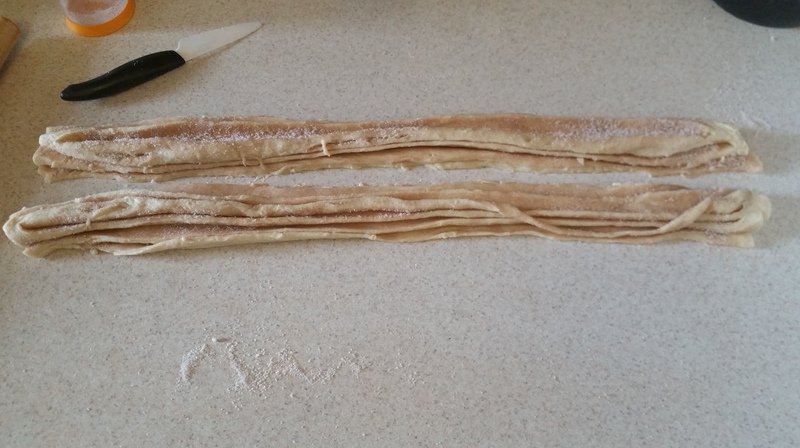 Using a sharp knife, cut the log in half lengthwise and leave the cut sides facing up. You may have to do a little pinching to make the ropes easier to handle. As you can see, there might be an errant rope or two. Just do your best! It won’t matter in a moment. 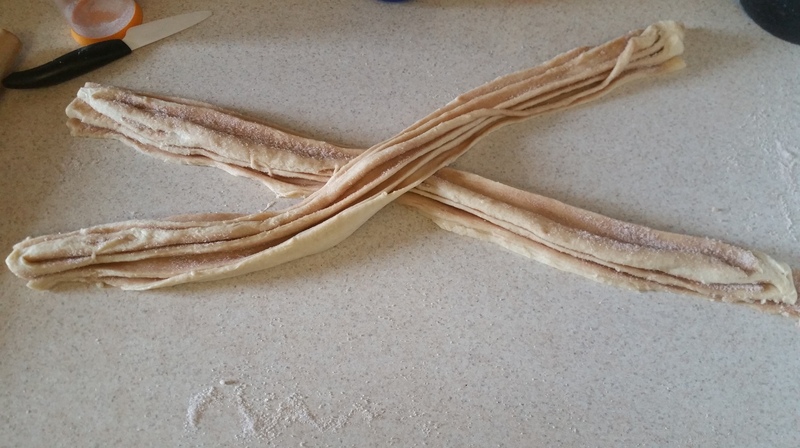 Cross the ropes in the middle and then twist tightly, keeping the cut sides facing up as best you can. Pinch the ends of the ropes. Form the twisted rope into a coil and tuck the end underneath. 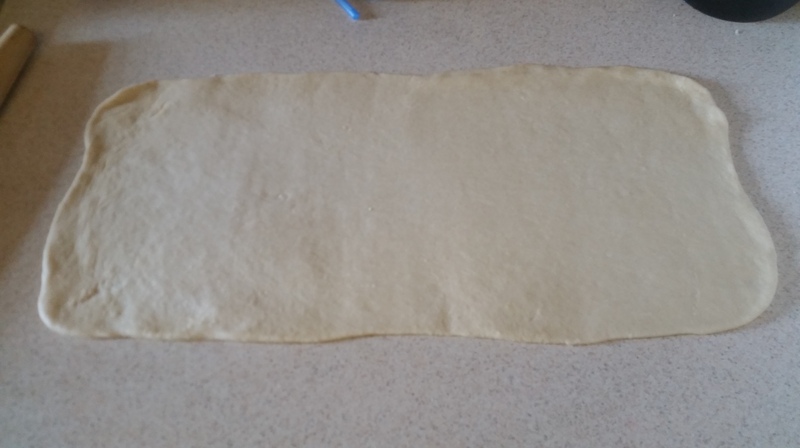 Then transfer the bread to a parchment-lined baking sheet. Cover the bread with a clean towel or lightly with oiled plastic wrap and allow it to rise for 45 minutes to an hour, or until it is noticeably puffy. While the bread is rising, preheat the oven to 400 degrees F.
Once the bread has risen, remove the towel or plastic wrap, sprinkle with 1 tbsp. sugar, place it in the oven, and bake for 30-35 minutes, or until deep golden brown. Check the bread half-way through baking. If it is browning quickly, tent the loaf with a piece of aluminum foil to prevent over-browning. The internal temperature of the finished loaf should be 190-200 degrees F if you have a thermometer handy. 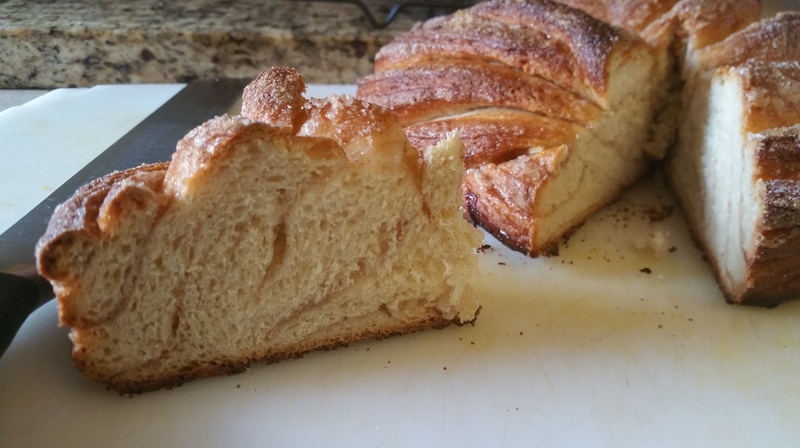 The bread has a soft, pillowy interior with a crisp crunch on the outside from the sugar on top. It’s not too sweet either, just enough to compliment the spicy notes from the cinnamon. It’s a wonderful accompaniment to a cup of coffee or tea. Sometimes you don’t need a recipe to tell you what to do. Go your own way from time to time and see what happens. Even if the experiment fails spectacularly, it’s giving you information to learn from, and that’s the only way to get good at anything: Learn, learn, learn and grow, grow, grow.